We know buying industrial Equipment and Supplies online requires trust and a perfect understanding of the product specifications. Thanks to our buyer protection program, you can shop from millions of listing from over 2016 countries and receive the correct equipment listed on Equipupstore.com. 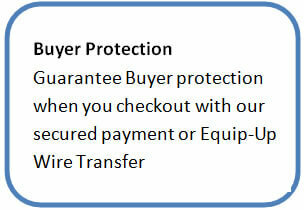 As long as you order via equipupstore.com secure checkout, your purchase will be fully protected. To protect Buyers and Sellers from Fraud, Equip Up Store acts as a guarantee between buyers and seller. 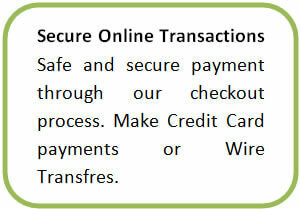 Equip Up store captures all payments from buyers and deposits such funds into an Equip Up Store escrow account. The funds are held in an escrow account until a delivery confirmation for the product is received from the Buyer. Equip Up Store pays the Seller directly on a weekly interval to the bank account provided by the seller as a payment option. If there's a problem with a transaction, we'll put a hold on the funds until the issue is resolved. We protect Buyers from checkout to delivery and if something goes wrong with an order, we'll investigate. If your transaction qualifies for Purchase Protection, we'll reimburse you for the full purchase price plus any original shipping costs. 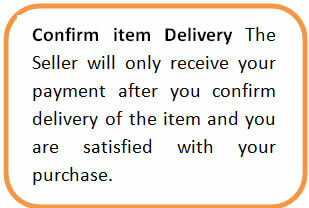 Return shipping costs are not covered by Purchase Protection. 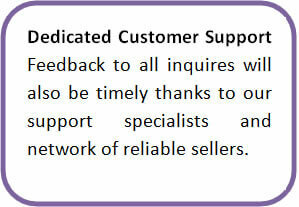 We encourage open communication between Buyers and Sellers using our Equip-Mail system available to all users. Both buyers and seller can exchange emails to resolve any problem they might face with regards to an order on Equipupstore.com. If both parties can reach an understanding, then an escalated claim request can be submitted to our claim department for a resolution. Selling or Buying Industrial Equipment, Tools, Machinery and services has never been easy until now. Join Equipupstore.com and start connecting with millions of users globally.